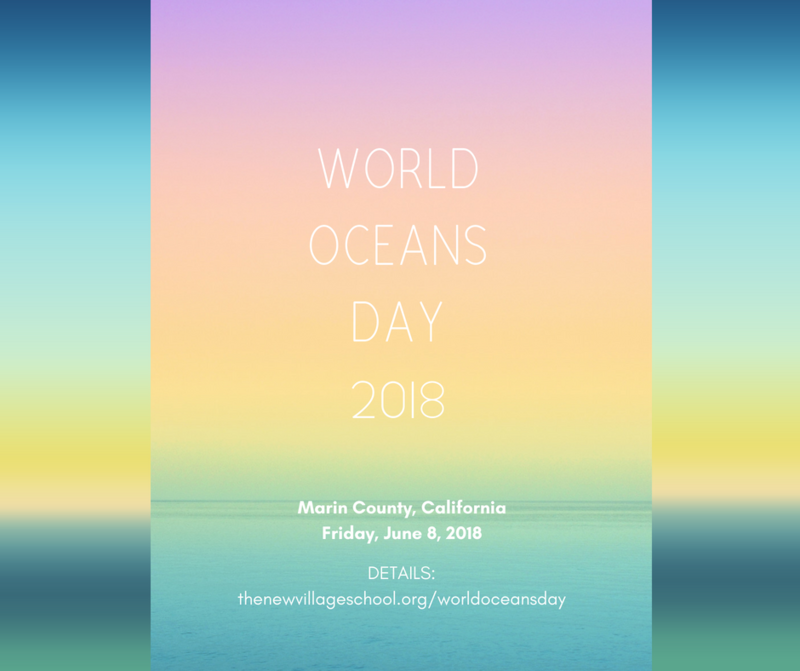 WHAT: In partnership with 2 Mile Surf Shop, 101 Surf Sports, Mission Blue, Live Water Surf Shop and Proof Lab, the New Village School community of families and friends invite you to join us to celebrate World Oceans Day. WHEN: Friday, June 8, 2018, from 4:00 p.m. to 6:00 p.m.
WHERE: We will join up at the New Village School located at 100 Ebbtide Avenue, Suite 144, Sausalito, for iced tea and cookies. Afterward, together we will take a group walk to Schoonmaker Beach for a flower-filled celebration by the bay. WHO: This event will be held in tandem with children and adults in Lesvos as part of Healing Lesvos, a non-profit headed up by Eleni Atsikbasis who is working to heal the humanitarian challenges and protect the ocean in Greece. WHY: In April 2018, 13 of our middle school students traveled to Greece to be part of the Blue Heart Project, an educational program created and organized by Ms. Atsikbasis to help set up a Global Hope Spot. Celebrating World Oceans Day together will connect us to one another and increase visibility for protecting what we love: our beautiful, magnificent, spellbinding, life-supporting sea.